Giovanni Pizzi, Antimo Marrazzo and Valerio Vitale gave a talk and tutorial on the theory and use of Wannier90. Files are available on the ICTP website. A Wannier90 coding week was held in San Sebastian during September 2016. 20 people attended to code in new features. This coincided with the move of the Wannier90 respository to GitHub to promote community development of Wannier90. The workshop was funded by E-CAM and MARVEL. Giovanni Borghi and Nicola Marzari gave a series of talks and tutorials on the theory and use of Wannier90. Files are available on the Quantum ESPRESSO website. A Wannier90 coding week was held in San Sebastian. Ivo Souza added Berry phase properties into postw90 and many pintxos were eaten. A Wannier90 coding week was held in Cambridge. The first version of postw90 was written (with thanks to Mike Payne for the loan of his office for the week!). Jonathan Yates and Nicola Marzari gave a series of talks and tutorials on the theory and use of Wannier90. 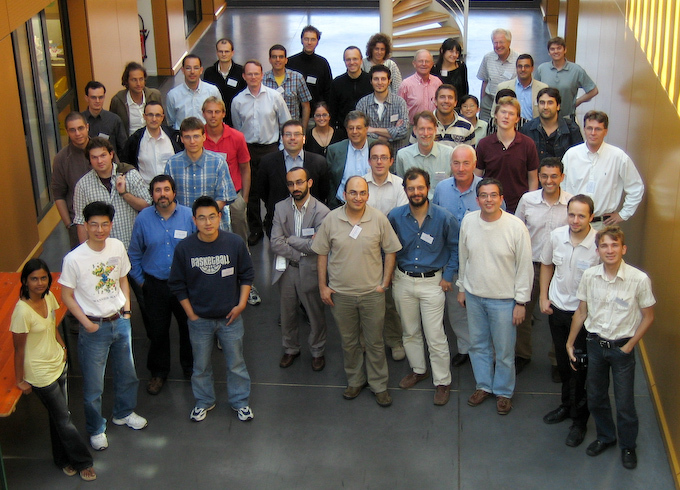 In July 2009 a two-week school on Quantum ESPRESSO and Wannier90 was held at the University of California, Santa Barbara. The lecture videos, slides, and tutorials include presentations on maximally-localized Wannier functions and an introduction to Wannier90 (Nicola Marzari and Nicolas Poilvert), and can be found on the Materials Cloud. A workshop from the days before Wannier90 brought Wannier functions to the masses.